25.90+/- acres on Route 24 with development potential. Located along the high traffic corridor between Long Neck Rd (Rt. 5) and Old Orchard Rd intersections on Rt. 24. Near grocery stores, gas stations, restaurants and an abundance of residential development. 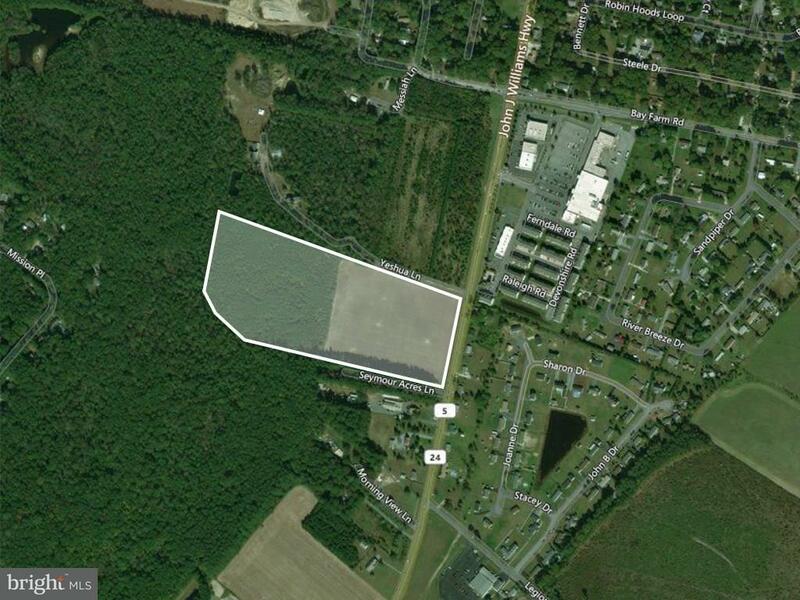 This property is contiguous to the sewer district allowing for public sewer and water from Sussex County. Sale includes three parcels - 234-29.00-49.02, 49.03, and 50.00.